The type of barrel (or cask) a whiskey is aged in can account for 50% - 90% of a whiskey’s flavor. So, what’s that mean in the real world? Can you actually taste the difference? And how do you learn to taste the difference? I could answer the above questions, but it’ll mean more if you get to taste it for yourself. This week’s article is a homework assignment. That means we’ll be trying some whiskey. 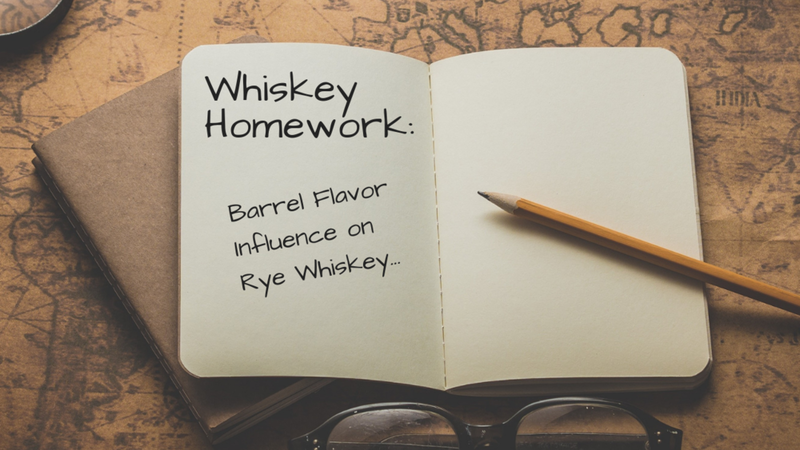 We’re going to start narrowing down how exactly a barrel changes a whiskeys flavor. How? By trying two whiskeys side by side. We’ll focus on rye whiskey for this tasting. Why these two? First off, they’re readily available to most people, and they’re both under $30. But besides that, they’re made almost exactly the same way, except for the type of barrel they’re aged in. How so? Both whiskeys are made from rye grain. The Canadian Club is 100% rye, and the Bulleit is 95% rye. So nearly the same mashbill. Both whiskeys have been aged in white oak. And both have been aged for a similar amount of time. That means we’ve isolated the barrel as the only difference between these two whiskeys. The Bulleit has matured in new oak barrels, and the CC in used oak barrels. As you try these two side by side, what do you find? How are they similar? How are they different? The answer to that last question is also the answer to how the barrel influences the whiskey. P.S. Curious about the different kinds of sherry finished whiskeys? Check out this article: What’s the difference between Oloroso and Pedro Ximenez sherry finished whiskeys?